Although it’s not hitting the national headlines any more, the Ministry of Justice’s disastrous decision to outsource interpreting services for courts and tribunals in England and Wales continues to delay the administration of justice. The latest instance your correspondent has discovered occurred last Friday at Mold, according to the County Times. Mold Law Courts. Image courtesy of Wikimedia Comms. That day a case against two Vietnamese defendants, Quan Vu and Bang Vu, had to adjourned as no Vietnamese interpreter had been arranged to attend court for their plea hearing. 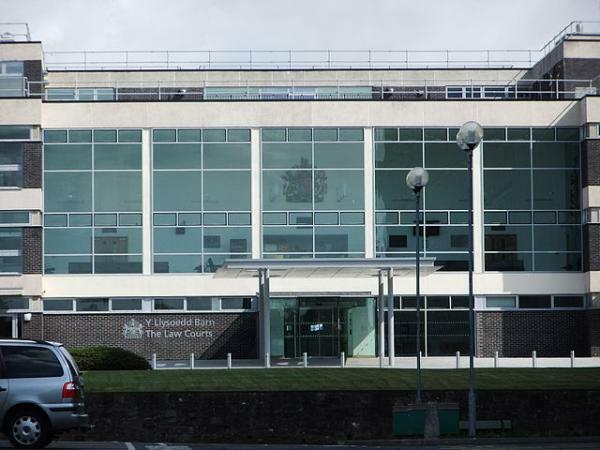 Both defendants are charged with being concerned in the production of cannabis in Newtown in Powys. Judge Niclas Parry adjourned the case. A plea hearing will now take place on Friday, 8th March, with the trial date set provisionally for 15th April. Mr Justice Parry remarked that a letter of explanation was required as to why no interpreter had been arranged. In the meantime both defendants remain in custody. This entry was posted by Steve Woods on February 19, 2019 at 16:01, and is filed under Language, Politics. Follow any responses to this post through RSS 2.0. Both comments and pings are currently closed.